What is up you guys? It’s Dr. Ashley here. I’ll be going over our last exercise in our Mobility Series Winter Edition, and in this last post, it’s more so of a stretch than it is a mobility drill. In addition to doing the hip exercise and the mobility drill that I did in the first post, this is a good stretch for your guys to do, kind of before and after you guys are hitting the snow and stuff out there. Go ahead and head over to our Instagram to try the stretch out. I want you guys to keep it very dynamic, go into and out of the stretch about eight to 10 times on each side. If you have any questions about it, hit us up with a comment. 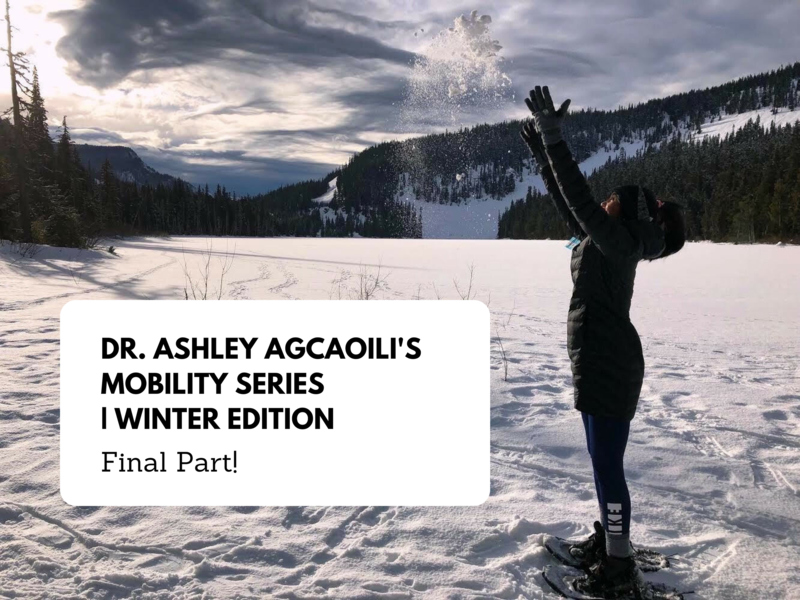 Previous Post Dr. Ashley Agcaoili’s Mobility Series Winter Edition! | Part 2 Next Post 2019 February Newsletter | It’s The Month Of Love. Self love.